 Join our mailing list to receive breaking cryptocurrency news and learn more about becoming a member! Raising awareness about cryptocurrencies and blockchain technology. Cryptocurrencies and Blockchain Technology are poorly understood by the general public. One of our goals is to provide resources and information to help voters understand these concepts. Cryptocurrencies threaten the existing financial system, which has resulted in an extensive lobbying campaign by financial institutions trying to maintain control of the global banking system. We aim to inform voters of the facts behind cryptocurrency. There are many politicians and public figures who have little understanding of cryptocurrencies (or feel threatened by their existence), resting in a stream of political propaganda we hope to counter. Bitcoin and the underlying blockchain technology promote an uncensored network where all can participate with equal access. Bitcoin is a remarkable cryptographic achievement and the ability to create something which is not duplicable in the digital world has enormous value. We are looking for committed advocates to join our team! Whether you are looking to learn more about cryptocurrencies and blockchain, or you are an industry veteran looking to get involved-sign up! © Copyright 2018. All Rights Reserved. Paid for by the Cryptocurrency Alliance Super PAC. Not Authorized by any Candidate or Candidate's Committee.